How to Determine Kids' Bike Size? Age or height? You can determine your kid's bike size from your kid's age or body height. We recommend to use height measurement to determine bike size. This is the most accurate option. 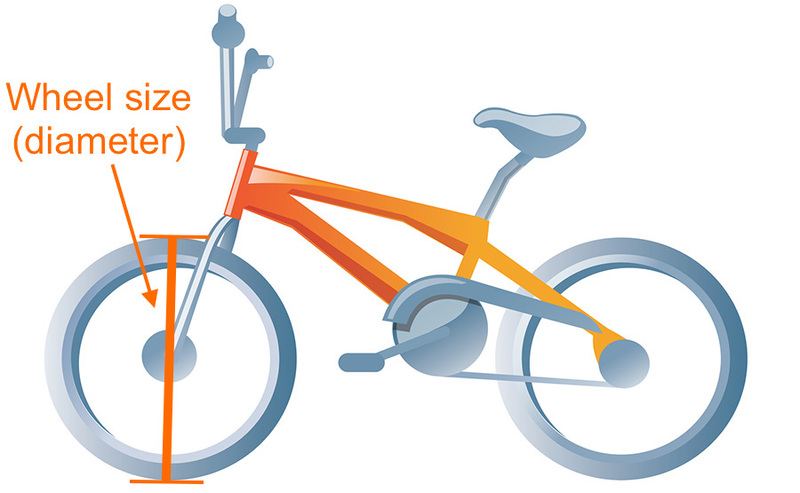 Wheel Size: The size reference for kids' bikes is wheel size (see illustration above.) Wheel size is usually printed on the tires and/or the bike's frame. This kids' bike size chart is unisex. Wheel size in diameter. Tips, Tricks or Questions about Kids' Bike Size? Tips, tricks or questions about Kids' Bike Sizing? Please post it below. Thanks!